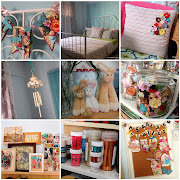 organised clutter: Blythe Lovin Sale! If you are looking to begin or expand your Blythe Dolls collection, or to own some Blythe literature, you've come to the right place! Here you will find Blythe Dolls and Blythe publications which have been either pre-loved or never-opened-still-in-packaging conditions - all going at fantastic prices! Here's the deal. Prices indicated in SGD and USD, and excludes postage. Payment by DBS/POSB Bank transfers for local Singaporean buyers. Payment by Paypal for overseas buyers. Please email any questions to lialuvsblythes@gmail.com, with subject header "Blythe Lovin' Sale". For orders, please email Item No of product you are interested to purchase at lialuvsblythes@gmail.com with subject header "Blythe Lovin' Sale". A reply confirming your order, with total cost (including postage) and payment details will be sent to you within 48 hours.